Measure around your dog’s neck allowing enough room for two fingers. 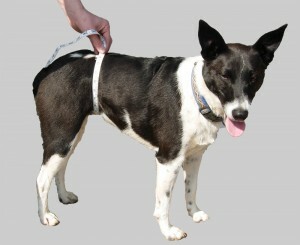 If using on the rear of the dog, measure around the abdomen, close to the hind legs. 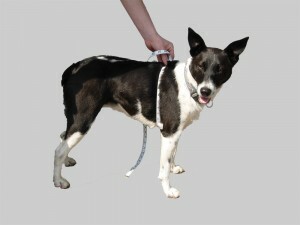 If using on the front end of the dog, measure around the rib cage right behind the front legs.